Affiliate Marketing: Tutorial and Course - Affiliate Marketing Tutorial and Affiliate Marketing Course, The Ultimate Guide to Affiliate Marketing. Learn Affiliate Marketing Tutorial and Affiliate Marketing Course at Affiliate Marketing Tutorial and Course. Affiliate Marketing Tutorial and Course - Affiliate marketing tutorial and affiliate marketing course, the ultimate guide to affiliate marketing, including facts and information about affiliate marketing. Affiliate Marketing Tutorial and Course is one of the ultimate SEO Tutorials and Courses created by SEO University to help you learn and understand affiliate marketing and the related technologies, as well as facts and information about affiliate marketing. Affiliate Marketing: Tutorial and Course - Affiliate Marketing Tutorial and Affiliate Marketing Course by SEO University, The Ultimate Guide to Affiliate Marketing. Affiliate marketing is performance-based marketing, whereby a product or service gets remunerated for every sale, visit, or subscription sent to the merchant. Because of this performance-based component, which is the cornerstone of affiliate marketing, it is also sometimes called performance marketing. The payment arrangements used include pay-per-sale (or cost-per-sale), pay-per-lead (or cost-per-lead), pay-per-click (or cost-per-click), pay-per-call (or cost-per-call), and other similar action-dependent compensation patterns. They are also frequently referred to as cost-per-action (CPA) payment models. Cost-per-action means affiliates’ compensation is wholly dependent on their performance. CPA is a type of remuneration that essentially says, I’ll pay you when there is action. In most cases, advertisers have to choose one of the payment models, but in some cases there is room for more than one type of compensation in one affiliate program. For example, a merchant can use the cost-per-sale (CPS) and cost-per-lead (CPL) models together, paying 10 percent commission on each sale (CPS) as well as $0.50 for each newsletter sign-up (CPL). Or an advertiser may decide to employ both the CPL and pay-per-call (PPCall) models within one program, by paying both for lead-generating forms filled out on their site and for phone calls referred by affiliates. An affiliate marketing is a business arrangement whereby one party (the merchant or advertiser) agrees to pay another party (the affiliate or publisher) a referral fee, bounty, or commission for every occurrence of a desirable (to the advertiser) action. Examples of such actions include sales and leads that occur in the event of the end customer clicking the affiliate link prior to completing the sale/lead. It is important for the advertiser to define what will make the end user's actions qualify for affiliate remuneration. That’s where we get the lingo of valid leads and confirmed orders. You don't want to pay for fake, or fraudulent, "referrals." We will discuss this topic in more detail in the following "Affiliate Marketing: Tutorial and Course". Depending on the merchant's preference, an affiliate program may also be called an associate, commission, revenue-sharing, bounty, or partnership program. The payment pattern is always a pay-for-performance pattern: When there is qualified action, there is payment. Since most of the traditional scenarios involve compensating affiliates for sales and leads, these will be the main examples used in this tutorial and course. Also, although there are different terms for affiliates, We will stick to the terms affiliate for the marketers who get compensated based on performance and merchant for the advertiser who the affiliate has their performance marketing relationship with. Sometimes also called associates or publishers, affiliates are essentially independent marketers who may choose to promote a business and be paid according to one of the previously described performance-based models. They are the sales force for your affiliate program. We like to think of affiliates as dealers or your most valuable partners who promote your brand and your business, investing their own money to sell your product/service. Affiliates are independent marketers who choose what affiliate programs to promote, what programs to drop, what merchants to push more aggressively, and on what merchants to spend less effort. They are self-managed and in the vast majority of cases are not accountable to merchants for performance. 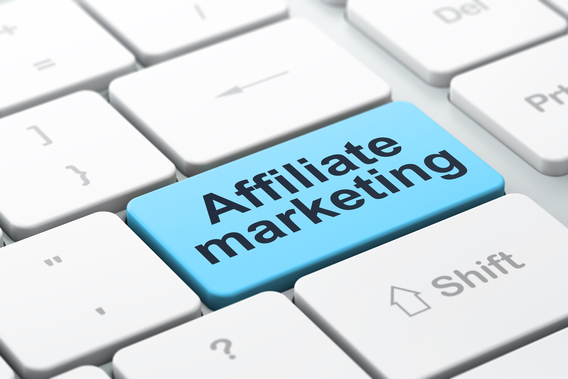 All of this makes them very different from the traditional business definition of an affiliate. On the other hand, the freedom that undergirds their very business existence allows affiliates to develop into an extremely self-motivated workforce. We will talk about it more in the following course, but at this stage, you should understand that this lack of top-down influence and control does not hurt affiliates’ productivity. In fact, the freedom that’s embedded in affiliates' hearts helps them achieve heights that would have been otherwise impossible. Subaffiliates are your second-tier affiliates, or affiliates who have joined your program by a referral from an affiliate you already have on board. Some affiliate programs choose to pay both the subaffiliate and the affiliate who sent them to you on a first- and second-tier commission basis. Superaffiliates are affiliates capable of generating a substantial amount of traffic and sales for merchants. Affiliate marketing is universally applicable, and any online business can be enhanced by running an affiliate program. Since the essence of affiliate marketing is in placing the main emphasis on the actual consumer action that occurred, it is always a no-lose situation for the merchant (unless you pay for clicks, of course). When starting an affiliate program, you may decide to remunerate affiliates for clicks sent to you. This is only one option. In fact, most affiliate programs do not do this. Most merchants tie the compensation of affiliates solely to the registered and confirmed sales or leads (fraudulent, duplicate, and other unqualified actions do not count). If you're hesitant, go to Google or other search engines, and see what your competition is doing. Basic competitive intelligence has never hurt anyone. Chances are that upon querying any major search engine by using a "[ your product ] affiliate program" key phrase, it will be much easier for you to make your decision. Another aspect of universality that is important to point out is that affiliate marketing is universal by its very nature. It exists on the crossroads of all other types of online marketing. Affiliate marketing is not a type or kind of marketing. It is more appropriate to understand it as a special marketing context, the undergirding principle of which is its performance-based remunerating model. This model works with any type of marketing: display, contextual, video, social media, and other types of advertising, as well as search engine marketing (SEM), email marketing, and other methods. The only difference with the pre-affiliate model is that advertisers post-pay and do it for the actions of their choice, as opposed to pre-paying for the actions of the publisher’s choice. Since the subject of universality has been touched upon, it seems appropriate to now expand the topic and look at types of affiliates. Successful affiliates seldom exist in a pure form but are more often incorporating several marketing approaches in their strategies. However, for you to better understand how things work, it is helpful to break down the more popular approaches into groups. They all cover an online marketing channel, and they would be splited into the following five groups: Content Publishing, Couponing, Email Marketing, Paid Search, and Loyalty Marketing. Content Publishing: Affiliates who employ this method build content-saturated websites and monetize them by featuring merchants' links on those properties. Links should be understood as all possible types of affiliate links: banners, widgets, text links, video, product links, and so on. The ways in which a content affiliate may advertise a merchant range from in-text links to sidebar ads to separate sections devoted to merchants’ banners to even a product selection. Couponing: Multiple affiliates are already using this method of promotion, and with projections on online coupon use anticipated to increase further, new coupon websites should be expected to spring up. These affiliates play on the human psychology of trying to find a product at a discounted price if possible. To satisfy this demand, these affiliates put together collections of coupons from different merchants. Since the number of coupons gathered "under one roof" can easily exceed several thousand, the key to success is in the convenient categorization of deals. The more successful coupon affiliates segment their coupons by vertical markets, holidays, lowest price markdowns, expiration dates, types of coupons, and so on. Data Feeds: A whole segment of affiliates work with merchants' product feeds. They are generally selling products of multiple merchants "under one roof", importing product information into their websites via the use of data feeds that merchants make available to them. A subgroup of comparison shopping affiliates should definitely be mentioned here. Adding the convenient function of cross-merchant price checking or feature checking to their online engines, they add value by simplifying the product search and comparison process for the end user. Email Marketing: Any individual or organization that has a mailing list of targeted prospects who have opted in to be contacted can make an excellent email affiliate. Here, just as is the case with any type of affiliate, it is important to emphasize that merchants safeguard their own brand and reputation by partnering with acceptable marketers. It must be made explicitly clear that advertising considered spamming or unsolicited commercial email (UCE) is unacceptable and will be penalized. Let your emailers know they may use mailings to customers and opt-in e-mail lists only so long as the recipients are already customers or subscribers of the affiliate’s services or websites and that recipients have the option to remove themselves from future mailings. Paid Search: Many PPC marketing experts turn to affiliate marketing to monetize their skills and expertise. Such affiliates bid on merchant-specific keywords and key phrases at Google, Yahoo!, Bing, and other search engines, and they send the PPC traffic either directly to the merchant’s website or via an in-between page of their own (depending on their own goals and the restrictions imposed by the merchant). In multiple situations, paid search affiliates can replace either the merchant’s in-house paid search marketing expert or an outsourced solution. As with every affiliate, the main benefit is that the PPC affiliate invests their own resources and costs the merchant only when the desirable action occurs. Affiliate marketing is one of the most powerful and cost-effective customer acquisition tools available to an online merchant today. You decide what commission to pay and pay only when results (sales, leads, and/or clicks) are obvious. Remember that unlike with other channels of distribution, affiliate marketing hardly has any advertising and marketing expenses involved yet often shows the best return on investment (ROI). With affiliate marketing, you pay only for the desired performance. With most other advertising, however, you get no performance guarantee, and generally the results aren't as good. If you are not yet utilizing the affiliate marketing channel, We're glad you're reading this "Affiliate Marketing: Tutorial and Course" at SEO University. It will teach you the ins and outs of affiliate program management and help you start and run your own affiliate program. We know you won't regret it. Affiliate Marketing: Tutorial and Course - Affiliate Marketing Tutorial and Affiliate Marketing Course, The Ultimate Guide to Affiliate Marketing. Browse Affiliate Marketing Tutorial and Affiliate Marketing Course at Affiliate Marketing Tutorial and Course. Learn Affiliate Marketing Tutorial and Affiliate Marketing Course at Affiliate Marketing Tutorial and Course.